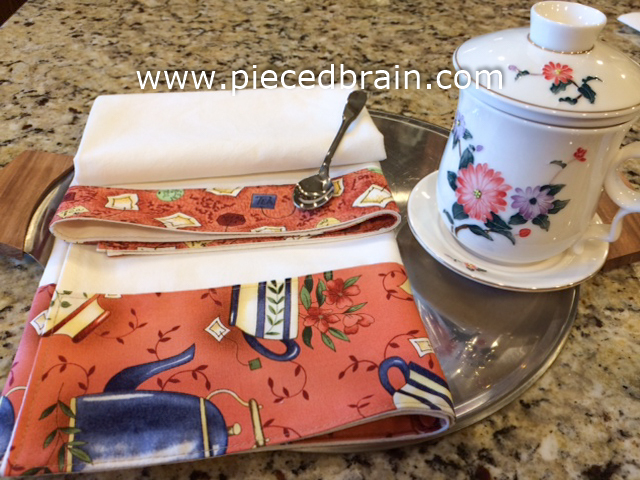 I made this kitchen towel this afternoon and thought I would share the tutorial with you. In my mother's kitchen, we always used flour sack kitchen towels, and the same is true in my kitchen. They are perfect for drying dishes and hands. Also, they add a cozy touch to any kitchen. My flour sack was square and had all four sides hemmed. 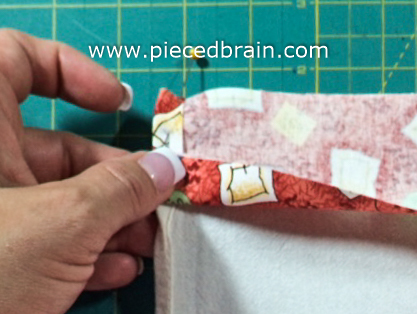 I removed the hem from two opposing sides (if yours is rectangular and is hemmed, cut hem off the two shorter sides). 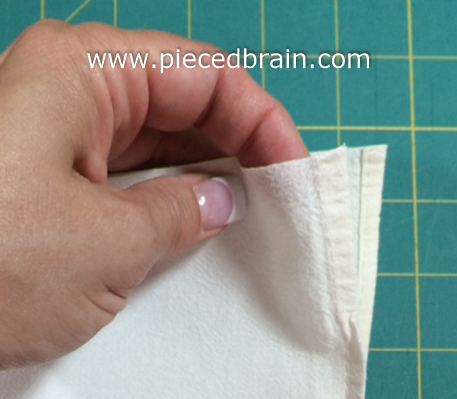 If your flour sack is not hemmed, do so leaving two opposing sides with raw edges. 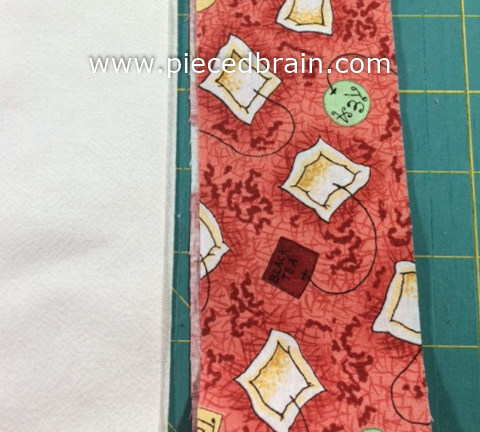 Align 2-1/2" strip of fabric with its right side down, on top of the WRONG side of the flour sack. 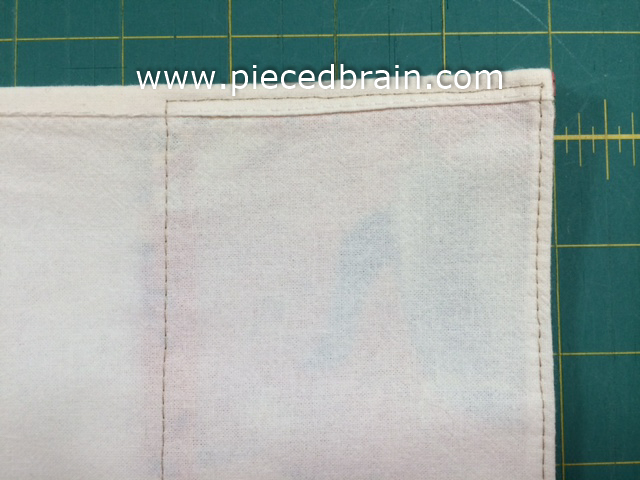 Fold short edges of strip about 1/4" in and pin. 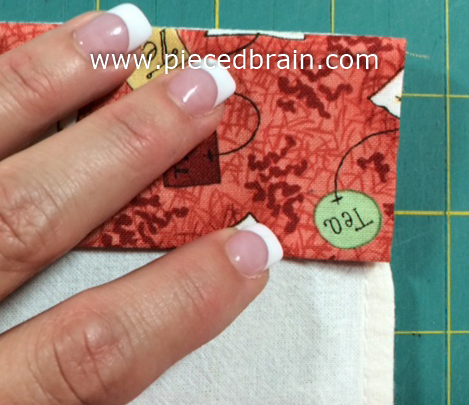 Sew strip with a 1/4" seam allowance. Press with seam open. This is what the towel should look like. This picture shows the right side of the flour sack, and the wrong side of the strip. Turn in about 1/4" of the strip's long edge and press. Turn strip down over right side of flour sack, and press again. 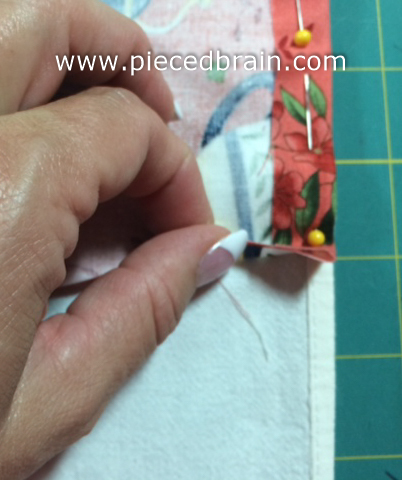 Then, pin and topstitch all around. 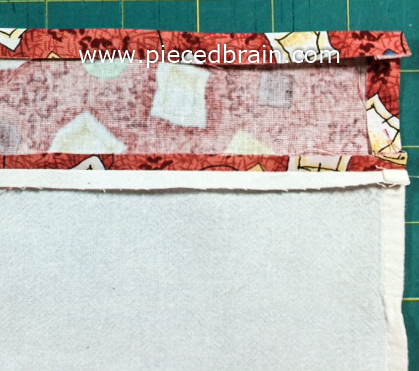 Follow same steps above, this time with the 4" strip aligned to the opposite raw edge. Be sure to place right side of strip onto WRONG side of flour sack. 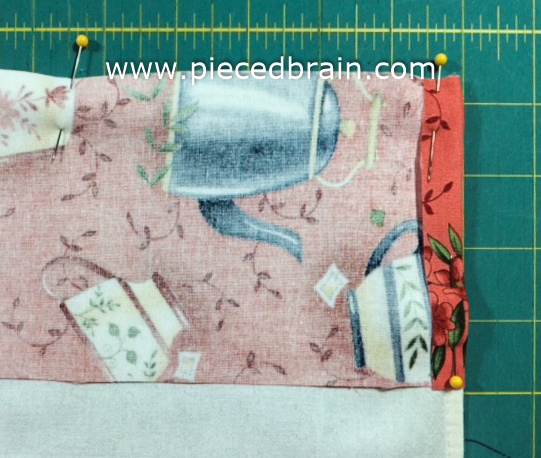 Sew, press with seams open, flip and topstitch to the right side of flour sack. This is what the wrong side should look like. No other seams except for the side ones. The only stitches showing are the topstitches. Here it is! 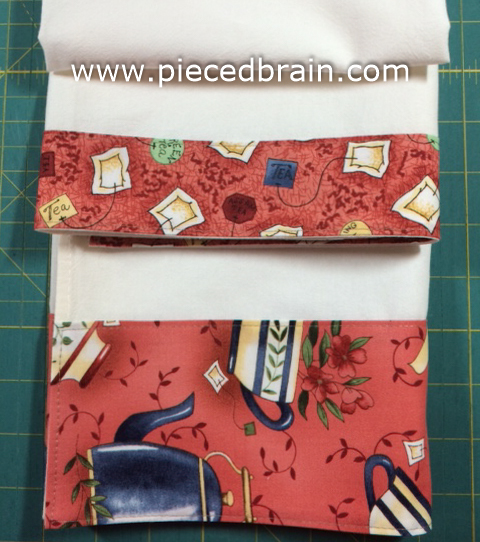 This towel will be part of a 'tea basket' I am putting together as a bridal shower gift. Cool and easy, right? You can customize towels for different seasons, too. It is super quick to make for when you want to add a personal touch to a house gift. I hope you liked it. Cute and easy--and very practical too! Thanks for the tutorial.